Travel and tourism has been one of the hottest areas for online startups in China these two years as the market evolves in an environment of deepening price war, greater integration of business models and O2O model, more refined segmentation and enthusiasm in investment. Ctrip’s acquisition of eLong is expected to reshape the landscape of China’s online travel market and may signal an even wider industry consolidation. But how would competition in the industry play out as the tide of investment ebbs in the face of chaotic growth, and how should companies achieve product differentiation while improving conversion rate? What strategy should they adopt to venture internationally, whether it is through affiliations with mega international players or overseas acquisitions? Join 1,300+ top executives from the global tourism industry to exchange views on these topics and more on TravelDaily Conference, to be held on September 16 - 17, 2015. 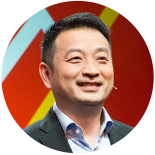 Mr. James Liang is the Co-founder, Chairman of the Board and CEO of Ctrip.com International, Ltd., the largest online travel company in China with approximately half of China’s online travel market. 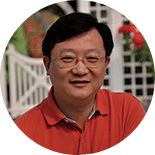 Mr. Liang co-founded Ctrip in 1999 with three partners. He has served as a member of the board of directors since the inception of Ctrip and served as the chairman of the board since August 2003. Mr. Liang also served as chief executive officer from 2000 to January 2006 and resumed the role of chief executive officer since March 2013. Prior to Ctrip, Mr. Liang held a number of technical and managerial positions with Oracle Corporation from 1991 to 1999 in the United States and China, including the head of the ERP consulting division of Oracle China from 1997 to 1999. Mr. Liang is also a research professor in Economics at Peking University. He received a Ph.D. in Economics from Stanford University in 2011 and received his master’s and bachelor’s degrees from Georgia Institute of Technology. He also attended undergraduate program of Fudan University. Mr. James Liang will share his insights on the correlationship between tourism and overall economy, including market forecast, opportunties and pitfalls. Mr. Adrian Currie is SVP Corporate Development, Chairman Agoda and Chairman Rocketmiles (all part of Priceline Group - Nasdaq: PCLN – a global leader in online travel and related services). 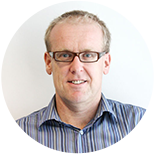 He has held senior management roles within Priceline companies since 2002 including CFO at Booking.com, Director at Rentalcars.com, MD APAC at Booking.com and a member of the Priceline Group Management Board. Mr. Currie, a Chartered Accountant and MBA, previously worked for Ernst & Young for 13 years in international corporate finance and audit roles. The global travel market continues to grow strongly with travelers from developing economies leading that growth. This growth is being driven by consumers desire to experience all aspects of the world and increasing availability and choice of experiences on offer from airline, accommodation and others travel suppliers. Mr. Simon Hauswirth is SVP Strategic Development & Partnerships for Kuoni Group, responsible to drive strategic growth activities with focus on Asia and in particular China. This follows a role as interim CFO of Kuoni's Global Travel Services (GTS) Division. Mr. Hauswirth has been a member of the Division Leadership Team since 2011, when he was responsible to manage the integration between GTA and Kuoni after the acquisition of GTA. Before joining Kuoni in 2009, Mr. Hauswirth worked for seven years at the Boston Consulting Group and at Roland Berger Strategy Consultants, advising multinationals in Europe, the USA and Asia on strategic topics. 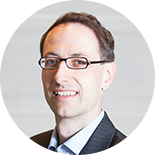 Mr. Hauswirth holds a PhD in Physics and an MSc in Physics and Mathematics from the University of Bern, Switzerland. Sep 16 15:10 - 15:55 Executive Roundtable：How Traditional Travel Agencies Rejuvenate Themselves and Compete Efficiently in the Online Marketplace? Ms. Mieke De Schepper is the Vice President of Asia Pacific for the Expedia group’s Lodging Partner Services, responsible for managing relationships with Expedia’s growing and vibrant hotel portfolio in Asia. Ms. Mieke De Schepper leads an experienced team based in more than 15 countries across the continent, focused on maximising hotel partners’ exposure on more than 150 global travel booking sites. Most recently Ms. Mieke De Schepper was Managing Director of Philips Lighting Singapore, Myanmar, Brunei and other frontier markets. She started her career at Philips in the Video & Multimedia Applications business group in 2005 to develop the global marketing strategy for the home theatre, DVD and Blu-ray categories, where she developed the successful Ambisound SoundBar. In 2009, Ms. Mieke De Schepper was appointed Senior Director of Consumer Lighting Marketing and Sales in Philips Lighting, Asia Pacific region, where she created a Philips-branded retail network in Asia Pacific. 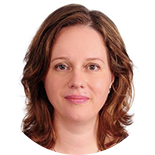 Before joining Philips, Ms. Mieke De Schepper was a consultant in McKinsey & Company, based in Europe. Ms. Mieke De Schepper is the President of the Dutch Chamber of Commerce in Singapore. A Dutch national, Ms. Mieke De Schepper moved to Singapore in 2004, her home ever since. Ms. Mieke De Schepper holds an MBA from INSEAD and an MSc in Industrial Design Engineering from the Delft University of Technology. Sep 16 11:10 - 12:05 Executive Roundtable：How the World’s Travel and Tourism Industry Capitalize on the Growth of Chinese Outbound Travel? Mr. Justin Luo is the co-founder and CEO of Tujia, which is known as China’s leading online marketplace for vacation rentals. Prior to co-founding Tujia, Mr. Luo was the co-president of CRIC and general manager of Sina Leju, the largest online portal of real estate media and information in China. Sina Leju successfully listed on the NASDAQ in 2009. Prior to Leju, Mr. Luo also served on senior management roles for several well-known companies, including Cisco, Oracle and Avaya. Our society is transforming from a “possession” one to a “sharing” one. Just as “Internet +” has linked the virtual and real economy, “sharing+” has reallocated unused resources and created new value. Mr. Rodney Bao has more than 20 years of experience in hotel management, tourism and E-commerce. He has served on Deputy General Manager of Jin Jiang Tower and the Senior Vice President of Shanghai Jin Jiang Thayer Interactive Co.,Ltd.. In July 2010, Mr. Bao was commissioned by Jin Jiang International Group to found Jinjiang International E-Commerce Center with the mission to improve the resources integration of tourism and O2O marketing in the group. 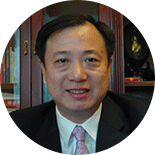 In Jan 2014, Mr. Bao has been appointed as the CEO of Shanghai Jinjiang International Travel Co.,Ltd..
Mr. Bao holds a Bachelor Degree on Hotel Management from Shanghai Jiao Tong University. He is also an adjunct professor and the mentor of graduate students for MTA at Fudan University. 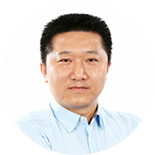 Mr. Shaohua Li joined Alibaba Group in 2011 as the General Manager of Travel BU in Alipay. Prior to joining Alibaba, Mr. Li had been working in airline for several years. He has extensive experience in E-commerce sector of travel industry. Mr. Li has a profound understanding of how to bring new technology and new idea to market with a technical background. At Alipay, Mr. Li and his team built a revamped total payment solution system specialized in travel business, expanded Alipay's business scope in travel industry to include off-line payment, and championed several innovative mobile internet projects. He and his team's work helped Alipay transform its business into a B2C based model in travel industry. In April 2013, Mr. Li was appointed as the General Manager of Travel BU in Alibaba Group. The Travel BU has been upgraded into Travel Business Group with Alitrip as its new brand. Mr. David Cai is the Vice President of Alitrip. He used to served as the General Manager of Shiji Information Tehnology(Shanghai) Co., Ltd. and the Senior Sales Manager-China of MICROS Fidelio. With 28 years of management background in the hotel and other related industries, Mr. Cai has rich experience in integrated marketing, team building, customer management and consulting. How online tourism platform enables to refresh the traditional hotel business by introducing the power of Internet and to help enterprises improve the quality of service for their customers’ experiences? How can we facilitate customers to choose their favorite destination? How to establish the services of standard for online air tickets platform in order to eliminate the grey zone of the sector? How to upgrade the sector by introducing creative measures? Selected entrepreneurs from the startup companies who are less than 12 months in existence or companies leaving stealth mode (or are a little beyond startup) will have the chance to demonstrate their innovative solutions or products that will significantly impact travel planning, purchasing and trending. The winner will be rewarded the TravelDaily Innovator Award. — Cinn Tan, Former senior Vice President, Sales & Marketing, Jin Jiang International Hotel Management Co., Ltd.
TravelDaily Conference is getting more and more valuable. It's not only an industry gathering but you may learn lots of new ideas from others in different standpoints. And TD conference always makes us updated with new tools and industry trend as well. Good job, Charlie and TD team. We all appreciate for what you did and what you are doing to China travel industry. 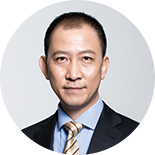 — Joseph Xia, Vice President, Shanghai Jin Jiang International E-Commerce Co., Ltd.
ChinaTravelNews is the English media brand owned by TravelDaily. Up-to-the-minute news and feature stories, and in-depth analysis by leading industry experts will keep you up-to-date on the latest trends in China’s travel industry. TravelDaily is China's leading online publisher and event organizer focusing on distribution, marketing and technology developments in the travel and tourism industries. Copyright © 2015 TravelDaily Inc.